The Town has several programs and initiatives in place so that Georgina’s green spaces remain vibrant and continue to flourish. 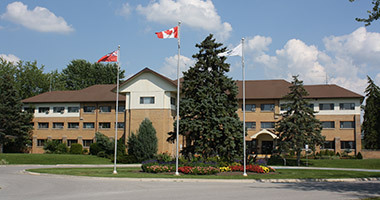 One of the Town’s tree preservation initiatives includes a tree replacement program and a Tree Preservation Program operated by the Regional Municipality of York. If property owners wish to remove more than five trees on their property a permit must be obtained from the Region of York. Please contact York Region for more information. If you have a tree on your property (that is on the Town road allowance, i.e. boulevard) and it is not doing well please contact the Town at 905-476-4301 and our Forestry Division will come out and determine if the tree is in fact dead or diseased and needs to be removed and replaced. Interested in adding more green to your landscape? There are many planting programs available in York Region through partnerships with Region Conservation Authority, Lake Simcoe Region Conservation Authority and the Local Enhancement and Appreciation of Forests Organization (LEAF). Need a tree, some shrubs or even a forest? One of these programs might just have what you’re looking for. Residents are eligible to receive subsidized tree planting services in their backyards with the help of the Local Enhancement and Appreciation of Forests (LEAF). LEAF offers a variety of programs, including a full service and do-it-yourself tree planting program, and edible and native garden kits. The full service program includes a consultation with an arborist, site assessment, delivery and planting of a 5 to 8 foot tree in your backyard. Yards must meet LEAF’s program requirements to be eligible. The Lake Simcoe Region Conservation Authority (LSRCA) Landowner Environmental Assistance Program (LEAP) offers grants and technical assistance to property owners within LSRCA jurisdiction looking to plant native trees and shrubs to maintain and enhance the Lake Simcoe watershed. Own land in York Region? Start growing memories today for you and your family. The Regional Municipality of York offers several different Tree Planting Programs for large and small properties.